In the winter 2017/18 issue of Ski Canada published an article on the Jumbo Glacier Resort by George Koch, an article that I found to be mis-leading, inaccurate and wholly insensitive towards the state of play and the importance of the Jumbo Valley, both ecologically for grizzly bears and spiritually for the Ktunaxa Nation. Businesses, governments and media outlets all need to be called out and held to account – it is more important than ever that we make informed decisions as citizens and as consumers. 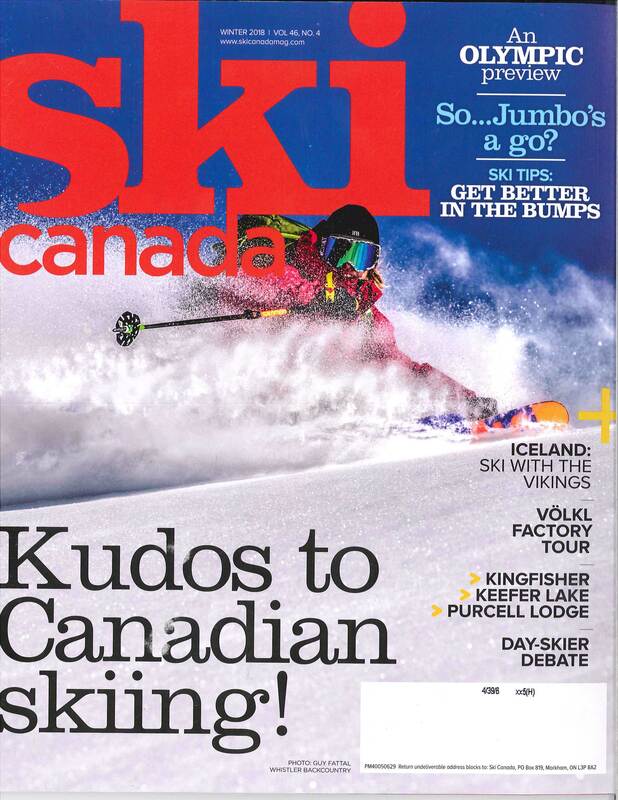 I was extremely disappointed to read George Koch’s article on the Jumbo Glacier Resort in the Winter 2017-18 issue of Ski Canada. I am surprised that such a biased article could be published, particularly one that reports the facts so inaccurately. While Koch quotes the developer Oberti extensively throughout his article, he doesn’t appear to have spoken with anyone else at all. 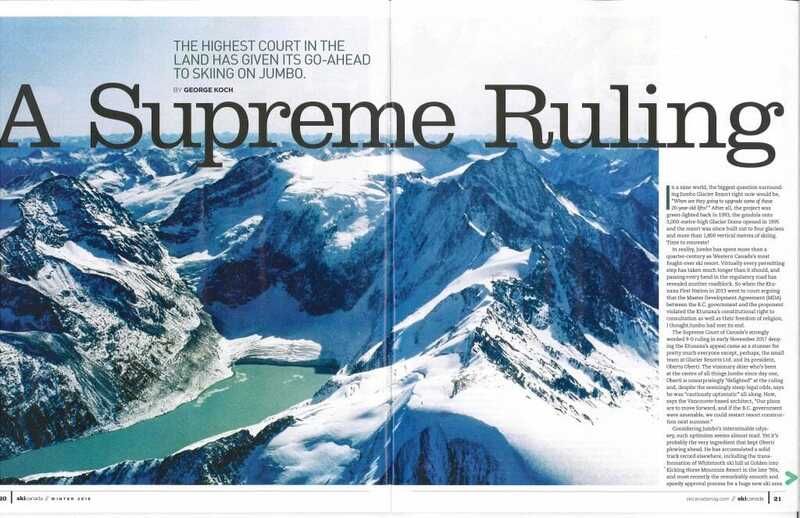 Despite what Koch writes, the Supreme Court ruling does not green light the Jumbo Glacier Resort nor did it cancel it—Glacier Resorts did that all on their own. After 10 years of delay, Glacier Resorts’ Environmental Certificate expired because the project was not substantially started. No work on the ground can proceed without an environmental certificate. As it stands today, Jumbo is not, as the headline suggests “a go,” but dead in the water. 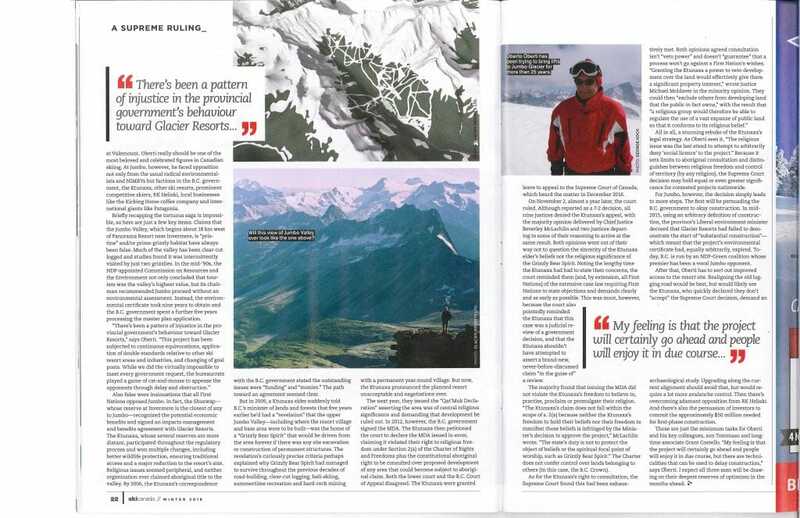 The article references 27 years of government injustice towards Glacier Resorts. The reality is that the proponents have had ample opportunity to bring their project to fruition and have received very strong support from the BC government. The former BC government even went so far as to amend the Local Government Act to create BC’s only town without a single citizen, but with an appointed mayor and council, and sent an MLA on a promotional trip to France. The real injustice was ignoring local residents, governments, First Nations and science in favour of a private land grab.